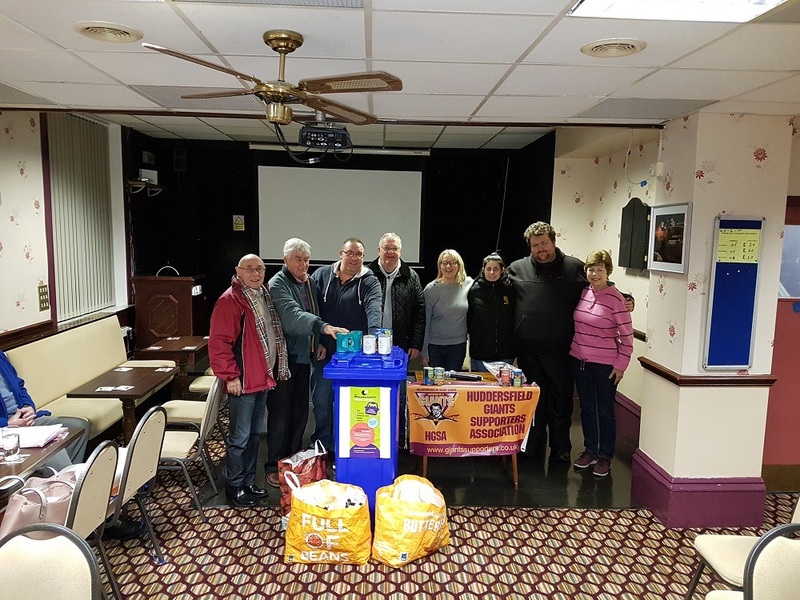 Huddersfield Giants kick off their first game with a fantastic food bank collection. We would like to say a GIANT thank you to everyone who donated to The Welcome Centre last Friday. We weren't to sure before the game how successful this would be. So we organised to have one donation bin. That filled up and soon was overflowing. Some of our committee members had to remove some items and put in their cars! It really was heartening to see so many people, young and old, even fans from Salford dropping stuff off for us, so a big thanks to them too. Hopefully we will look at doing another one very soon!